Spectrum has 30 days to contest an order to leave New York, which was issued Friday by the state's public service commission. New York authorities have moved to oust Spectrum, the state's largest TV and internet service provider, claiming the company failed to serve customers and live up to promises. The state's public service commission said Friday that cable company Charter Communications (CHTR), which operates Spectrum, reneged on commitments it made when the state approved its merger with Time Warner Cable in 2016. The commission is giving Charter 60 days to come up with an exit plan from New York and has ordered the firm to pay $3 million in penalties. 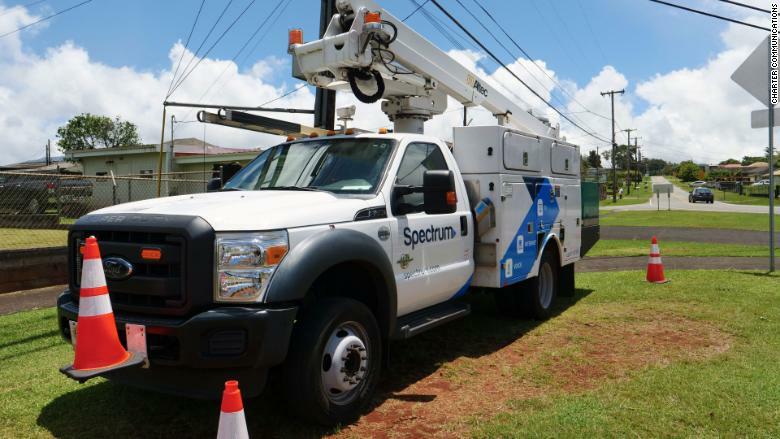 The company must provide uninterrupted service while the state transitions to a new service provider, the commission said. Charter has 30 days to contest the order, and the company said it plans to fight the decision. In a statement, Charter said the claims made by the commission were "politically charged" and tied to the state's election season. The company said its workers "remain focused on delivering faster and better broadband to more New Yorkers, as we promised." Charter provides digital cable television, broadband internet and phone service to more than 2 million people in New York, including New York City. Charter says it has extended broadband service to 86,000 homes and businesses. In addition, attorneys for the state public service commission will seek fines on Charter of $100,000 per day until the company fulfills its promise to extend connectivity to households and businesses that have slow or no internet connection. The state lawyers plan to bring an enforcement action in New York state court. "These recurring failures led the Commission to the broader conclusion that the company was not interested in being a good corporate citizen and that the Commission could no longer in good faith and conscience allow it to operate in New York," the commission said in a press release. It's unclear which company would step in to provide service for New Yorkers if Charter is forced to cease operations in the state.